Now the big question is...what to do with them? 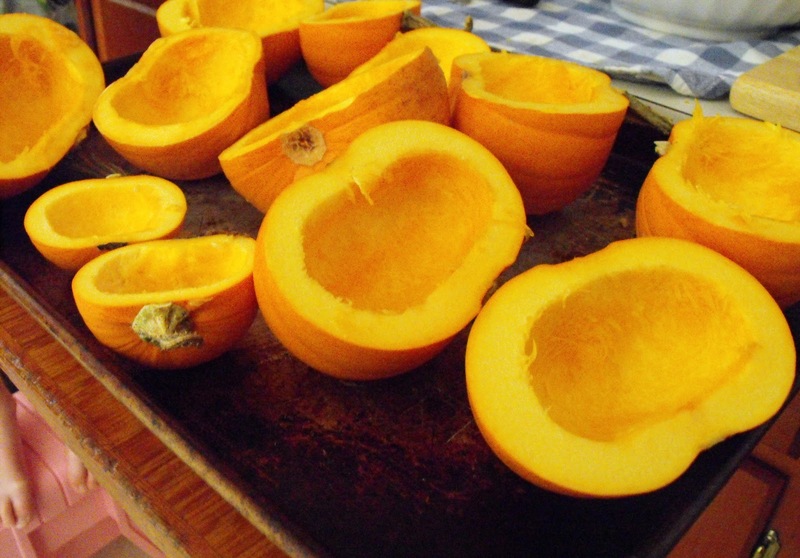 Recently Erika over at NW Edible Life wrote a great post about storing winter squash. I'll be remembering her tips and tricks next year, especially the part about cleaning the exterior of the squash with a solution to keep fungal growth at bay. I choose to make a puree of my cute little pumpkins. With thanksgiving around the corner and my yearly duty of making pies for the family gathering, I thought it would be really cool to ditch the canned stuff and use my own puree for pumpkin pie. 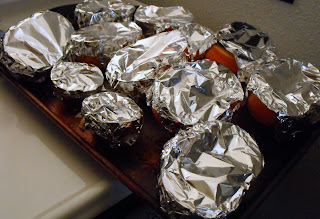 I headed over to allrecipes.com to figure out how to do this. I found these directions to be very helpful. 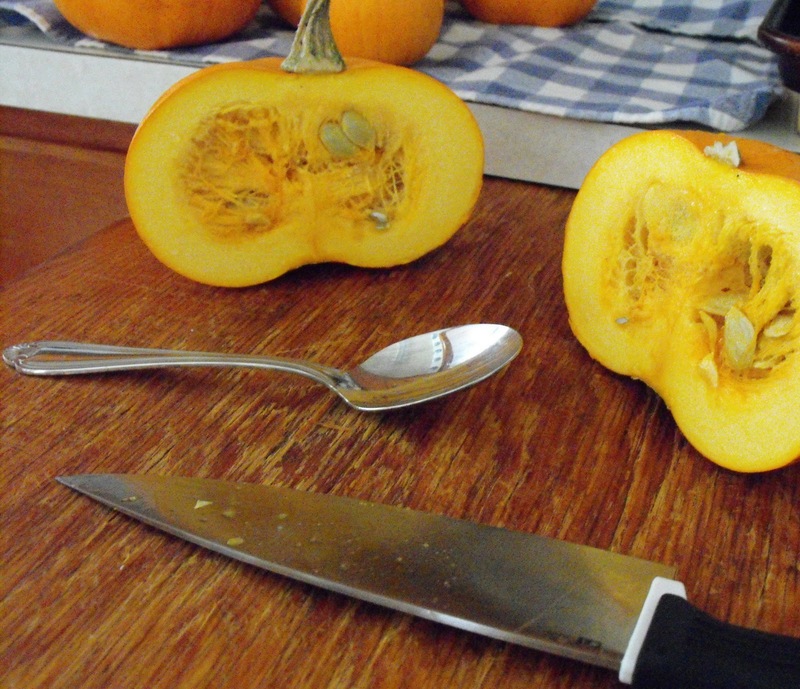 First step was to slice the pumpkins in half. Then scoops out the seeds and fibers. Next, you cover with tin foil and pop into a preheated oven at 325 degrees for an hour. Then, you take them out, let cool for about 15 mins..(you don't want them too cool too much or else the meat does not come off the rind well) and much like you'd peel the rind off a cantaloupe, you would cut the rind away from the pumpkin meat. 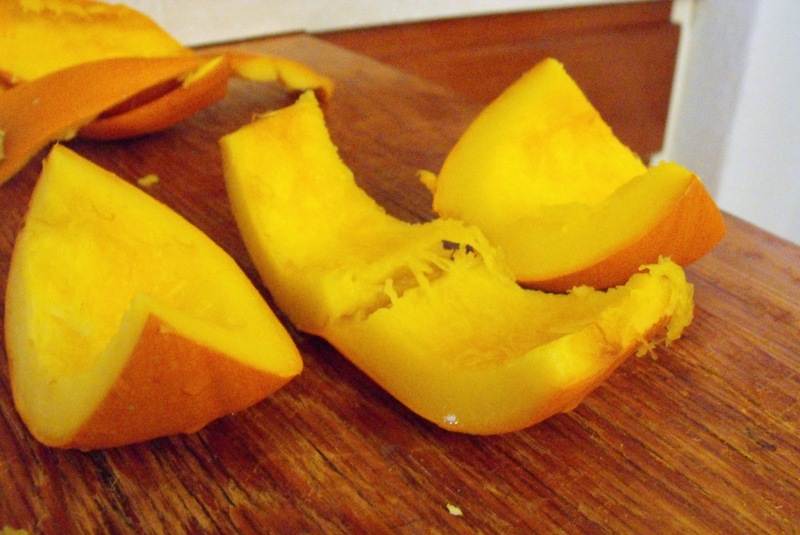 The warm pumpkin meat was easy to slice off the rind. And viola. 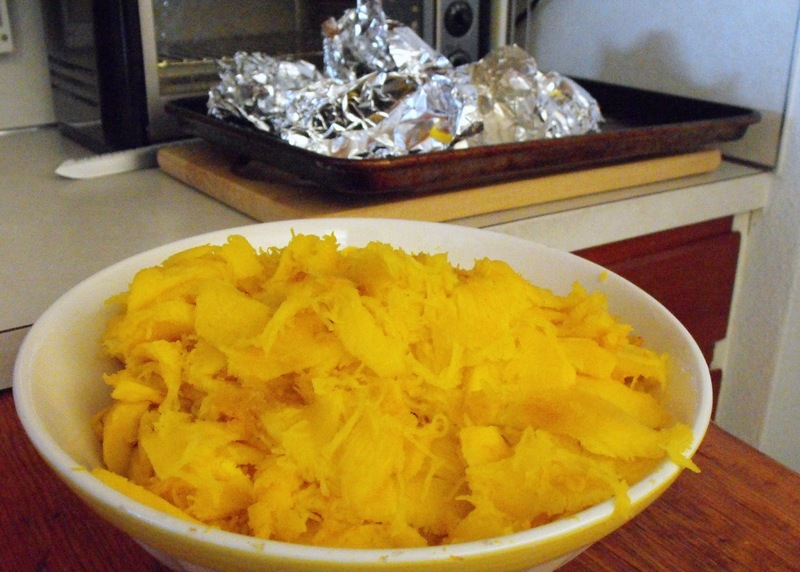 A bowl of pumpkin meat. Finally I filled up freezer bags, with two cups puree in each bag. I found that my pumpkin pie and bread recipes required about that much puree per recipe. I'll file a report on how the organic home grown pumpkin pie tastes for Thanksgiving dinner later this month. The last step I took was to take many of the pumpkins seeds and follow these directions to save them for next years garden. I'll have plenty left over for any one who many be interested in having some. Just let me know. I am so jealous of all your beautiful pumpkins. I have not been successful yet at growing any kind of squash, a and I love them! Alison, I had no success with larger pumpkins or squashes, only these little pumpkins. Catherine said Patty Pan squash did well for her and Diane over at A Voice in the Garden grew some really interesting blue squashes, so I'm not giving up..I think I just need to choose different varieties. Martyn (or Walter) made pumpkin pie last week although it was made with a Crown Prince squash and to me was a tart and not a pie. It was delicious. A photo is here Does you pie look like this or does it have a lid? Fantastic! We haven't had much luck growing pumpkins, but I do intend to try again next year! I would be very careful about saving seed if you grow ANY other squash plants. They are all notorious cross pollinators. 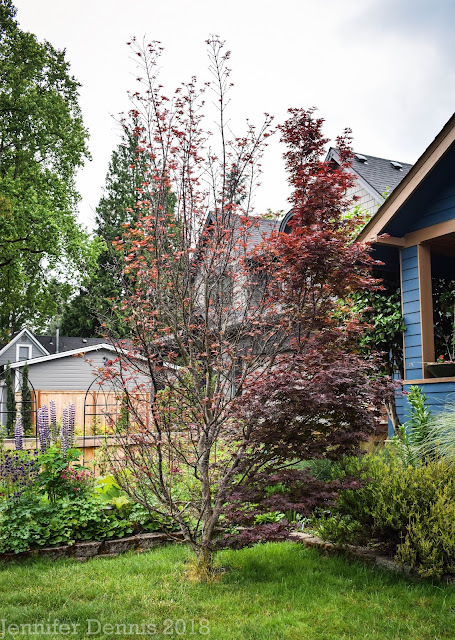 You could devote a lot of space only to grow inedible "what are they". Been there. Good Tip George! 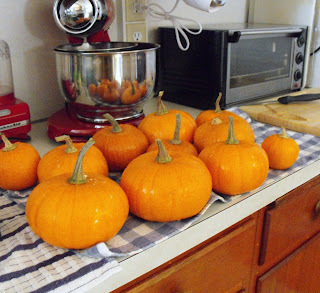 I'm sticking with these cute little pumpkins as I've had no luck with any other kind of squash. Well done with all those pumpkins. I've just bought some seeds to grow squashes next year on my allotment. I've never tried them before so I'm hoping I can be as successful as you have been.